Pancreatic cancer is a devastating disease whose early detection remains difficult. There is no 100% reliable imaging test to diagnose and stage pancreatic cancer. 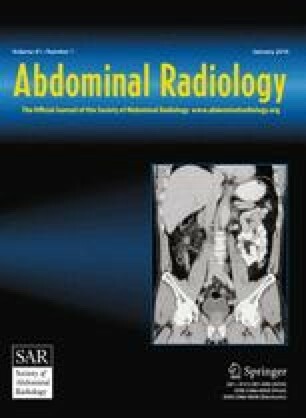 We assessed the surgical value of contrast-enhanced spiral computed tomography (CT) in predicting the resectability and survival rates of patients who had pancreatic head cancer. Eighty-nine patients who had pancreatic head cancer were investigated with spiral CT. Based on the preoperative CT results, we assigned patients to one of three CT groups based on resectability. A correlation between classification of CT resectability and intraoperative finding was found in 83% of patients. The sensitivity, specificity, negative predictive value, positive predictive value, and accuracy of spiral CT in identifying predictive unresectability were 79%, 82%, 91%, 62%, and 81%, respectively. Sensitivity, specificity, positive predictive value, negative predictive value, and accuracy of CT in diagnosis of vascular invasion were 94%, 84.2%, 94%, 84%, and 91.3%, respectively. The use of CT in the evaluation of pancreatic tumors provides valuable preoperative assessment of surgical resectability and should be performed for clinical examination. Classifying patients by tumor resectability on CT helps to estimate more precisely the tumor stage and to prognosticate survival rates of these patients.